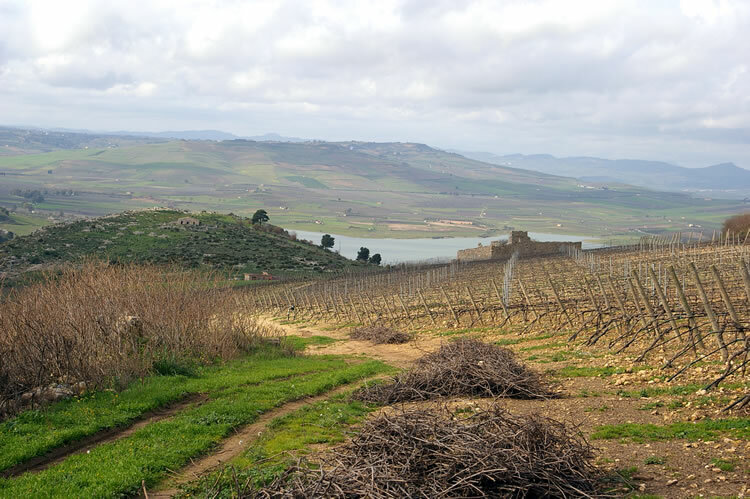 Vineyards in Sicily. These belong to Planeta, and in the foreground are vine prunings. Photo taken February 2009.